In an announcement that will surprise no-one, but sadden many, Sony has revealed that the PS Vita will be ceasing production next year in Japan, the handheld console’s biggest market. The news comes months after Sony’s equivalent departments in the US and Europe announced a March 2019 end date for PS Vita production, while production lines for PS Vita game cards are to be wound down by the end of 2018. 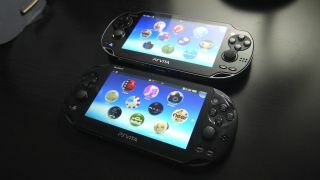 Although the PS Vita console never truly took off – partially down to the growing popularity of the Nintendo DS family and accessible smartphone games – Japan was its most lucrative market, and the end of manufacturing there will mean the PS Vita is gone for good, with no plans for a successor. Our tears are somewhat tempered by news of Sony’s PlayStation Classic: a compact version of the original PlayStation console in the style of Nintendo’s always-sold-out NES Mini, with 20 PS1 era games packed in – which will be out in time for Christmas 2018. With handheld gaming so clearly dominated by mobile and the Nintendo Switch, it’s easy to forget the hold Sony once had on the market. Sony’s first portable console, the PSP, was the slick, cooler older kid compared to the clunky Nintendo DS, and the gradual growth of the latter at the expense of the former was a fascinating development that defied many pundits’ predictions for the handheld console wars. Although it never quite became a bestseller, the PS Vita carried some good games, while it’s ‘remote-play’ functionality allowed players to stream high-spec PS4 games to its diminutive screen – even if most PS4 owners never used the feature. With the PlayStation Classic console set to keep us occupied in the near future, there’s more than a slim chance we could see a portable Vita Classic emerge down the line, packed with the handheld’s greatest games and years worth of nostalgia. But, before we can hope for a resurrection, we’ll have to go through the funeral.